Beautification and urban design provides the foundation for improving how the District looks and works. The District is committed to improving the appearance and the image of the area, private and public infrastructure needs, and open spaces such as parks and trails. The District works to promote conservation programs and improve streetscapes and park facilities. Each of these elements add to a “sense of place” and identity. The District works with property owners and public entities to coordinate maintenance of setbacks, rights-of-way, and plantings. 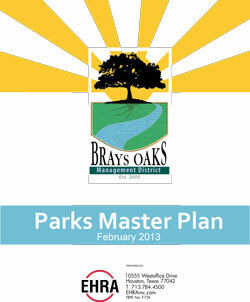 The Master Parks Plan is a clearly defined guide for the future of park facilities, and trail development. This plan includes an inventory of existing park facilities and trails, and lists suggestions for improvements. In addition, the plan also lists recommendations for new facilities and trails by specific type, location, prioritization, estimated costs and funding mechanisms. In 2008 the District adopted forty-one (41) esplanades through the City of Houston’s Adopt an Esplanade Initiative. This was followed up in 2009 with the additional beautification 30 esplanades. These esplanades have been fitted with irrigation systems and professional designed landscaping treatments. In 2011, the District adopted an additional five esplanades bringing the total adoptions to seventy-six (76). The District was expended over $620,000 in esplanade beautification since its inception. Did you know that the District recently hired a contractor who is solely dedicated to the District to handle: litter abatement, bandit sign removal, return of shopping carts to stores, and mowing of the under maintained public right-of-way. The Brays Oaks community is one of the most active and participatory areas of the city. 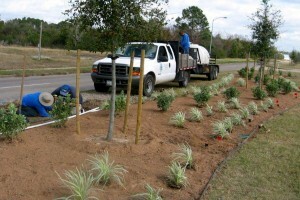 The District works holistically with Home Owners Associations, Super Neighborhoods, City of Houston City Council, Houston Parks and Recreation, Houston Parks Board and other community nonprofits to plan and develop the areas green spaces and community gardens. The District has organized numerous neighborhood cleanups throughout the area and actively annotates and reports neighborhood blight to the city via 311. The District is very active in removing the visual blight caused by graffiti. Graffiti abated by the District is color matched and chronicled for HPD investigations. We are grateful to our community partners and residents who actively assist us in reporting incidents. We encourage all residents and businesses to join in the effort to help us eradicate graffiti from the District by reporting to 3-1-1 or by reporting incidences via the “Report an Issue” form. Additionally, street light surveys are performed bi-monthly. Street light outages are reported to CenterPoint Energy for repair.